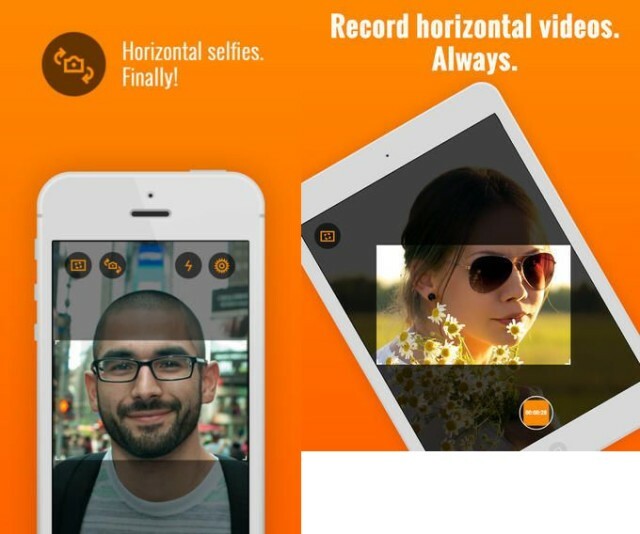 Horizon is a great new iPhone app that shoots horizontal video however you hold your phone. It uses the gyroscope and accelerometers inside the iPhone to work out just how you’re holding it, and grabs a proper, level landscape-format shot for you. Not only does this iron out the worst of your yawing camera technique, but means you;ll never shoot a dreaded portrait format video. But what I like best is that you can effectively zoom the image by turning the camera: because the footage comes from an always-level rectangle in the middle of the sensor, twisting phone from upright to landscape effectively zooms out, and vice versa. You can also choose to keep a fixed-size frame, to avoid this zooming effect, and you can even add live filters. As the app is already processing the hell out of the video feed, I guess adding these filters is relatively easy. I really like this app. It’s just $2 ($1 right now as a special launch price) and is Universal. The max resolution depends on the model of iPhone or iPad you’re using.